Wow! this was from my birthday 3 years ago, and I only just heard about this in the last month! I am really impressed with the variety/flexibility of the patterns. TYVM for putting up the steps for these! Your site is excellent and I will be introducing my art students to your site because it is clear and easy to navigate! 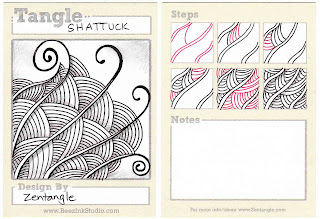 Love your breakdown of tangles.